Warhammer 40k Forum Tau Online » Games Workshop/40K Related » Terrain » Flock or Static Grass? I was wondering, what&#39;s the difference between flock and static grass? It seems to be pretty much the same. Re: Flock or Static Grass? While flock is courser and in my opinion doesn&#39;t look as good as static grass. so what&#39;s the point of flock? 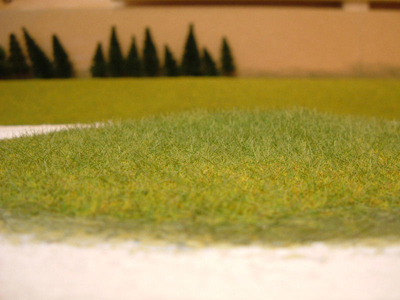 Flock is an older way of doing up bases, used in the right way it looks better than Static grass which can be a bit too long for some people. Flock is used to give a texture and colour to your bases. The Green flock is pretty much dead as far as I am concerned, but look up the browns as they give better results than straight forward sand with very little effort. Agreed, static grass pretty much makes green glock obsolete especially now that GW are doing 3 different shades of static grass (standard, scorched and glade). Green flock is still fairly useful in a terrain making sense as sometimes using too much static grass can make terrain look a bit fluffly, but only if applied wrongly.